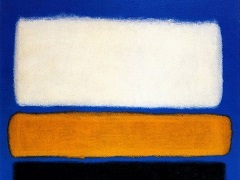 Inspired by the surrealist technique of automatic writing--letting the brush meander without conscious control in an attempt to release the creative forces of the unconscious - Rothko loosened up his technique and developed a more abstract imagery. In remarkably free watercolors of the mid-1940s, related to the art of the surrealists Joan Miro, Man Ray, as well as Max Ernst, Rothko explored the fluidity of the medium to evoke a vision of primeval life. In their manifesto in the New York Times Rothko and Gottlieb had written: "We favor the simple expression of the complex thought. We are for the large shape because it has the impact of the unequivocal. We wish to reassert the picture plane. We are for flat forms because they destroy illusion and reveal truth." 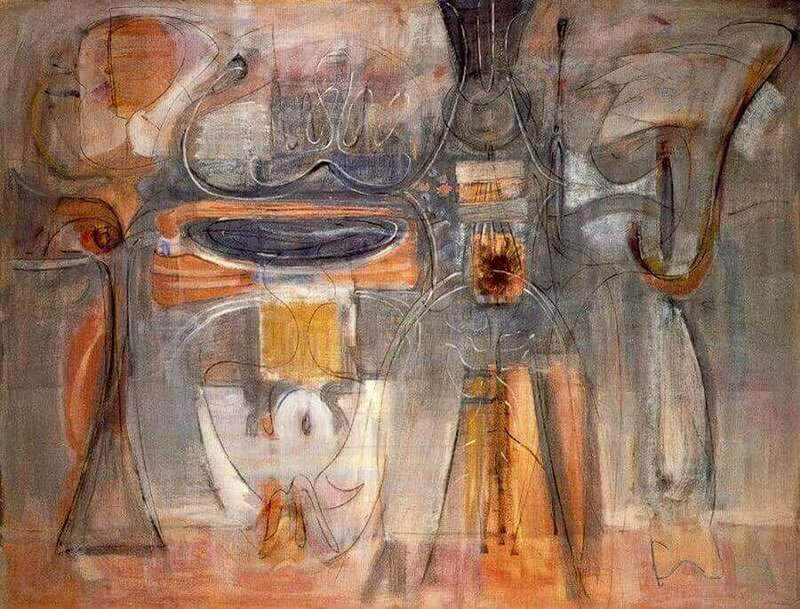 By 1947 Rothko had virtually eliminated all elements of surrealism or mythic imagery from his works, and nonobjective compositions of indeterminate shapes emerged.